The Dutch artist Constant Nieuwenhuys designed the coffee table IJhorst for Spectrum back in 1953. In 2015, the table was reissued. Now sixty years later, it is still just as modern as it was back then. A classic design that has a special place in the history of Dutch furniture design. The base of the table consists of a thin steel wire construction, which makes pressure and traction visible in a delicate and honest way. Aesthetics and construction come together perfectly in a light play of lines. This style is often found in designs from the 1950s, such as with the work by Charles & Ray Eames. The table is beautifully combined with other design classics of its time. 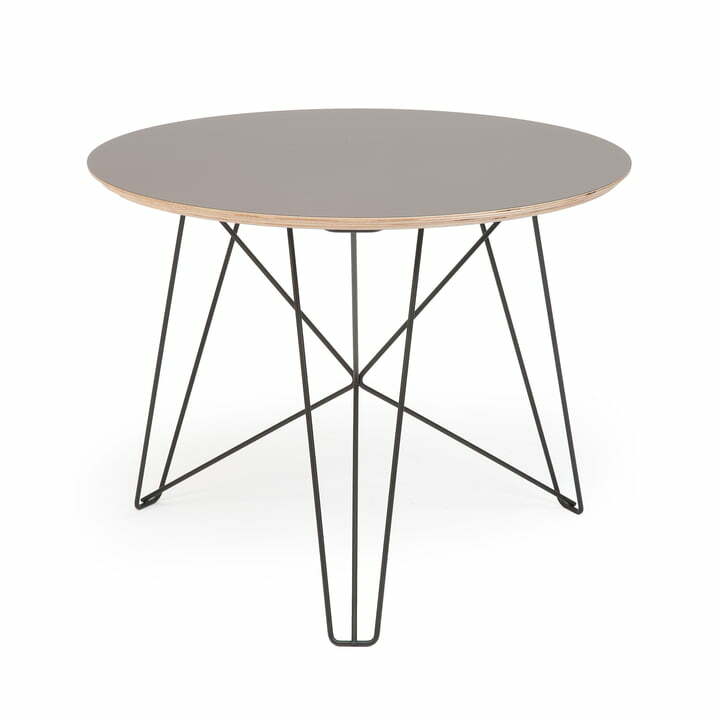 The steel construction, treated with a black epoxy finish, is harmoniously supplemented by a discreet, round table top. These are now made from a stable multiplex panel, purposely used as a design detail. It is available either with a laminate coating or veneered with an exclusive walnut surface. The table is made in 3 different sizes. In order to fully appreciate the framework through the tabletop, the larger format is offered with a round table top in smoked or clear glass. The IJhorst coffee table L with a tabletop of Ø 60 cm. Shown here with am MDF gray laminated tabletop. The steel construction, treated with a black epoxy lacquer finish, complements the table surface harmoniously while still creating excitement. The base of the table consists of a thin steel wire construction, which makes pressure and traction visible in a delicate and honest way. 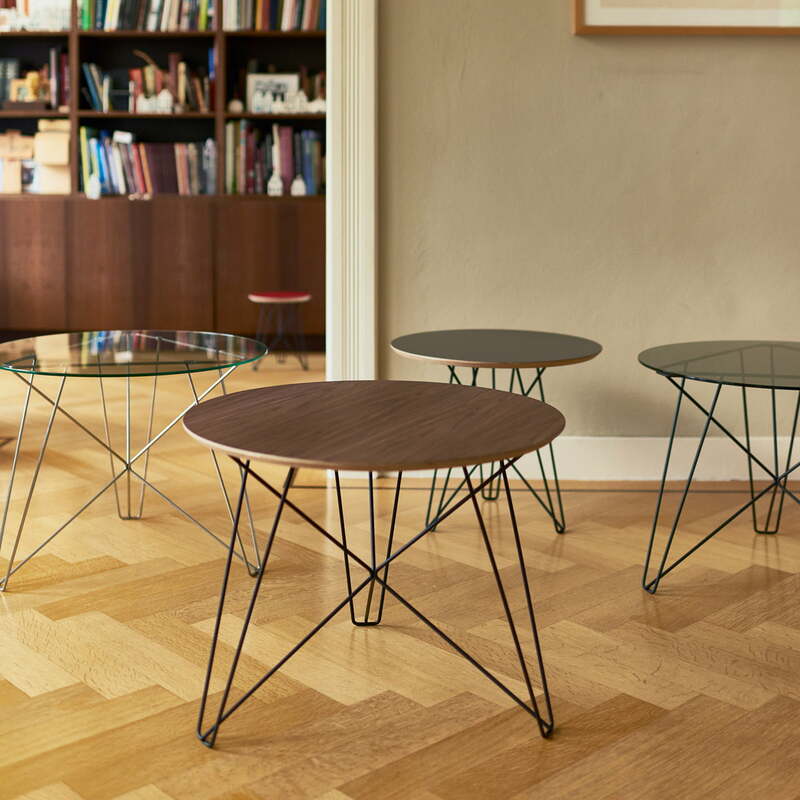 Because of its delicate steel wire frame, the delicate IJhorst coffee table by Spectrum fits in particularly well with high quality parquet floors. The historical image shows the IJhorst coffee table with a glass top. 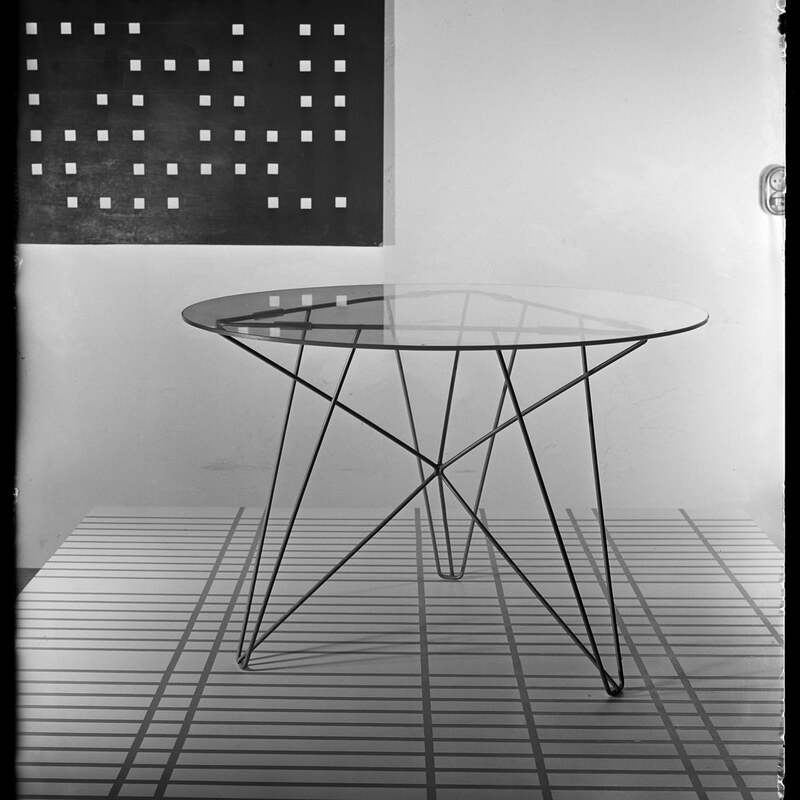 The Dutch artist Constant Nieuwenhuys designed the coffee table IJhorst for Spectrum back in 1953. 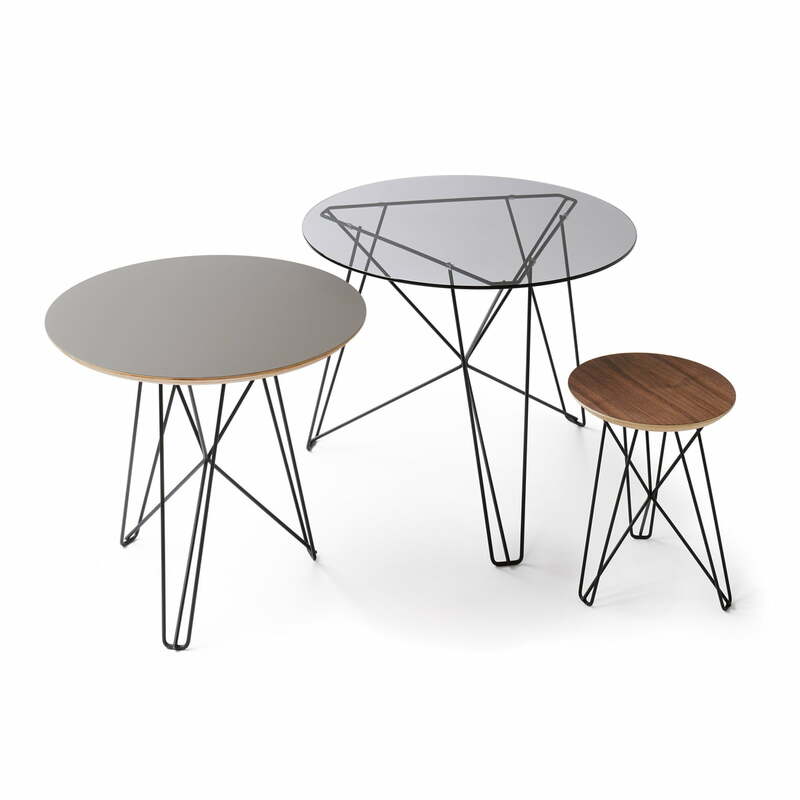 In 2015, the table was reissued. 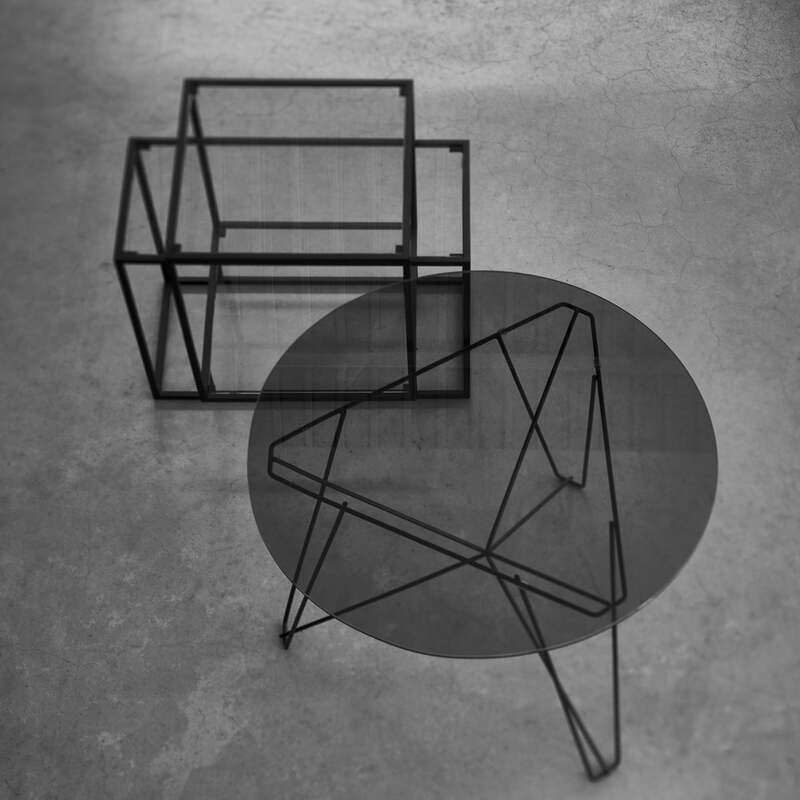 The Tangled side table is here combined with the Ijhorst coffee table with a smoky glass top. Both tables are manufactured by Spectrum out of steel and glass, yet have very different appearances.